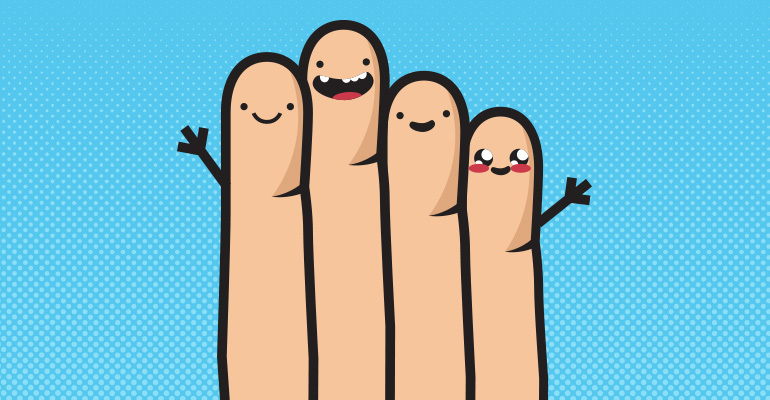 4 friends meet 30 years after school. One goes to the toilet, while the other 3 start to talk about how successful their sons became. 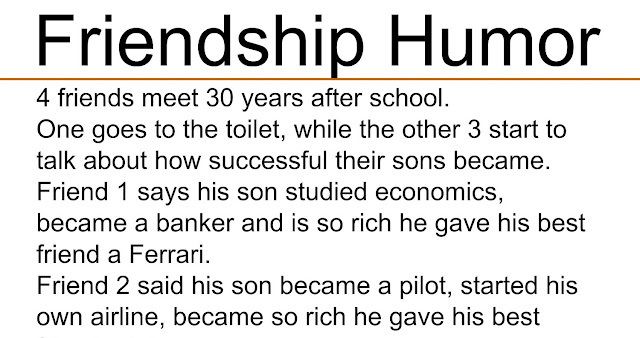 Friend 1 says his son studied economics, became a banker and is so rich he gave his best friend a Ferrari. 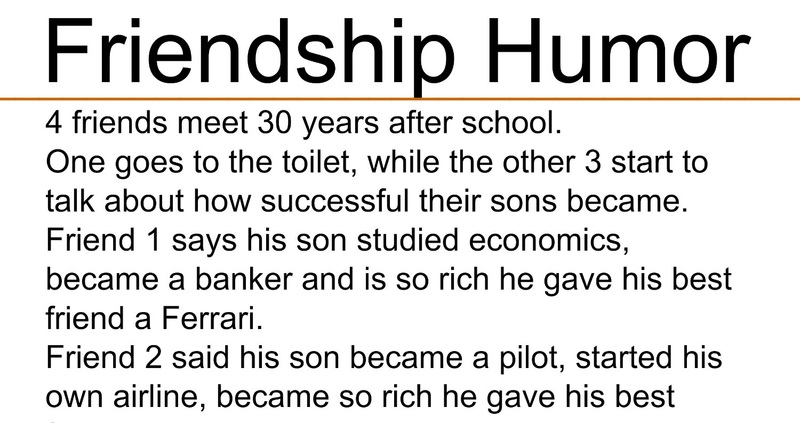 Friend 2 said his son became a pilot, started his own airline, became so rich he gave his best friend a jet. Friend 3 said his son became an engineer, started his own development company, became so rich he build his best friend a castle. Friend 4 came back from toilet and asks what the buzz is about. They told him they were talking about how successful their sons became and ask him about his son. He said his son is not studying well and is a stripper at a bar. Other 3 said he must be very disappointed with his son for not becoming successful. "Oh no" said the father, he is doing good. Last week was his birthday and he got a Ferrari, a jet and a castle from 3 of his boyfriends.